The two-time major winners ended their spectacular run at the event as the only Chinese team to survive the lower bracket, thus securing 750 DPC points and $400,000 in prize money. The main event started off with the home-town teams in a dire situation at the playoffs. Four out of the five Chinese teams started in the lower bracket, as two were eliminated on the very first day. With an almost undefeated streak, PSG.LGD surged past every single team that came in their way, even eliminating the Chinese favorites Vici Gaming. The latter were on a hot streak in the upper bracket before losing to the American underdogs, VGJ.Storm. LGD had an almost undefeated run on the main stage, dropping only one game to TNC Pro Team, an extremely long match which they ended up throwing. However, as the ultimate goal got closer, they only seemed to get more confident, clearing out the other top 4 finishers of the Major in clean sweeps. Before they even made a claim on their second Major championship of the season, PSG.LGD confirmed a direct invite to TI8 by mathematically securing enough points. With today's results, they not only solidified themselves as the best Chinese team in the scene, but also overtook Team Liquid on the DPC Rankings. This is the first time that the "Virtus.pro, Team Liquid and Team Secret" triumvirate at the top of the DPC table has been displaced. 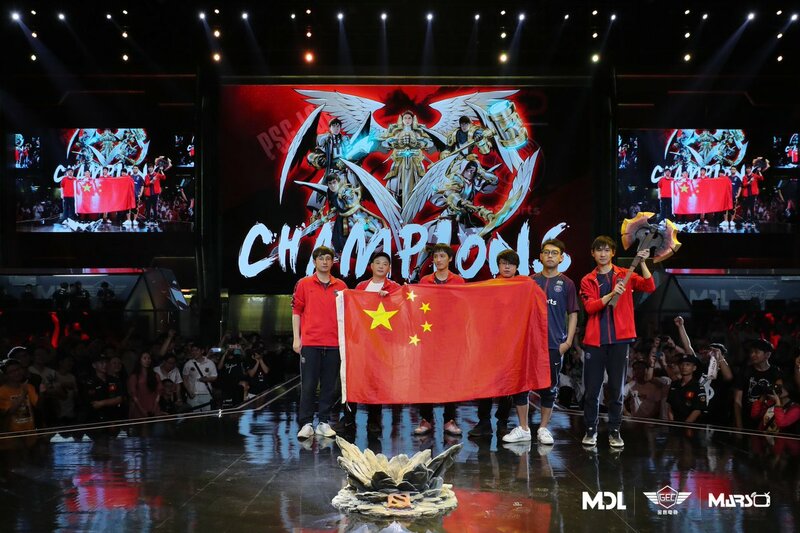 With three back-to-back Major finals, two of them being victories, LGD amassed an incredible 5850 points of their current total of 6321 points in just under two months. It was an all-Chinese final in the lower bracket, with the formidable major winners going up against the very team that kicked them to the lower bracket in the group stages. Vici Gaming made the mistake of letting through Lu "Somnus丶M" Yao's Death Prophet in the draft of the first game. It was a move they surely came to regret as the player-hero combo has been an unstoppable force to be reckoned with for every team that has faced it. The second game was shorter and even more one-sided than the first, as Somnus/Maybe styled all over VG once again, this time with his Queen of Pain. Even Zhang "Paparazi灬" Chengjun's Morphling was not enough to stop them in their tracks, as LGD denied Vici Gaming their 5th LAN grand final of the season, and possibly their first Major championship. The North American team did not seem to pick up any points from Vici Gaming's loss just prior to the grand finals series, as they let Somnus's Death Prophet through in the first game's draft. The result was as expected, their complete annihilation at the hands of the Chinese. With Wang "Ame" Chunyu giving a flawless performance on his Spectre, there really didn't seem to be any hope for VGJ.S to begin with. Even Jingjun "Sneyking" Wu's Enigma couldn't duplicate his performance from yesterday. VGJ.Storm seemed to have a better draft in the second game, opening with the highest win-rate support in professional and top-tier Dota, IO. They even managed to snag the Death Prophet for themselves. However, the Wisp only hemorrhaged kills to the last pick Ember Spirit for LGD's star mid-laner. Somnus was at the top of his game, and in the comfort zone, totalling a 24-1-22 score before the enemy's ancient perished. The underdogs showed signs of life in the third game, on the brink of elimination. For the first time in the series, they got a head-start with a successful laning stage and kept their momentum going. It surely seemed as though they would take the series to a fourth game, as Roman "Resolut1on" Fominok's Storm Spirit sat at the top of the net-worth charts after multiple pickoffs. However, after the 30-minute mark, PSG.LGD started taking favorable team-fights, swinging the net-worth by a massive 17k gold. They even managed to kill the Storm Spirit after his buyback, putting a complete stop on the snowball VGJ.S were riding on. Winning one last team-fight in the enemy base where they lost no heroes, LGD forced the 'GG' out of their opponents in grand fashion. 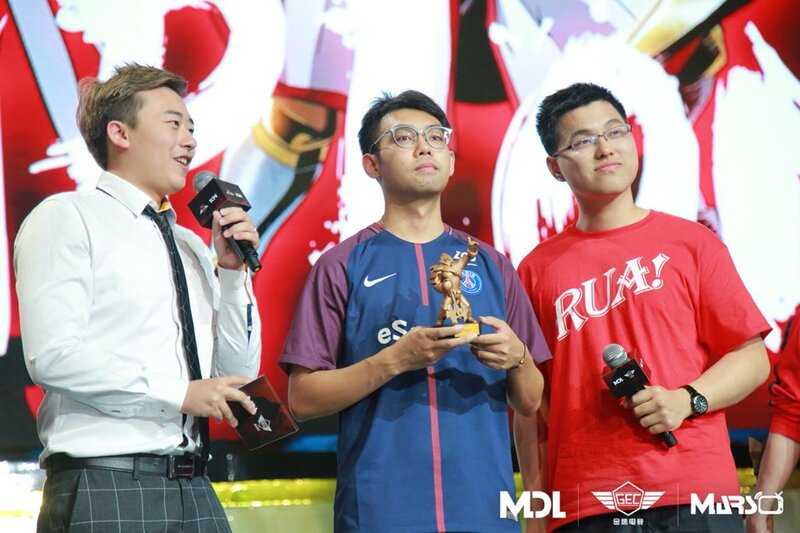 The winner of the MVP of the tournament was none other than Lu "Somnus丶M" Yao. Contrary to the popular trend of the award being given to a support player, it went to the flashy but proficient mid-laner of the team. He gave a monstrous performance in the grand finals series with a 55-10-44 score, often carrying his team to victory single-handedly. The Dota Pro Circuit continues with the ESL One Birmingham Major, scheduled to begin on the 23rd of May, just three days from now. Competition is expected to be fierce, as almost 22% of the qualification points are yet to be distributed in the last two majors of the season. Is it China's turn to win TI this year? We have heard about LGD.RURU being too strict on their training as of late. I guess PSG have made the right choice especially with these kinds of results. VGJS on the other hand have shown potential and can still make it somewhere. Clinch or clinched. There is no clinche.